So, To Kill a Mockingbird. I don’t think I’m alone in saying it’s one of my favorite books of all time. But amazingly, until last week, I had never seen the film. Now that that has been rectified, let’s talk about the movie. As with “the Grapes of Wrath,” there were some key omissions in the film version: Calpernia is almost non-existent as a character, there is no visit to the all-black church where she and Tom Robinson’s family worship, there’s no uncle Jack, or Christmas at Finch’s Landing, there’s no house fire to give Boo Radley reason to cover a startled Scout with a blanket, no morphine rehab for Mrs. Dubose, and plenty of other edits that strip color and richness from the original. But while we may have lost some of the scope of Scout’s coming of age story on the cutting room floor, screenwriter Horton Foote still manages to hone in on the main drama of the court case, and the main theme of Innocence Lost. The angry mob is still shamed out of a lynching by Scout, Jem and Dill at the jail. We still get to see Atticus squeeze the trigger on the mad dog while the Sheriff soils his drawers. 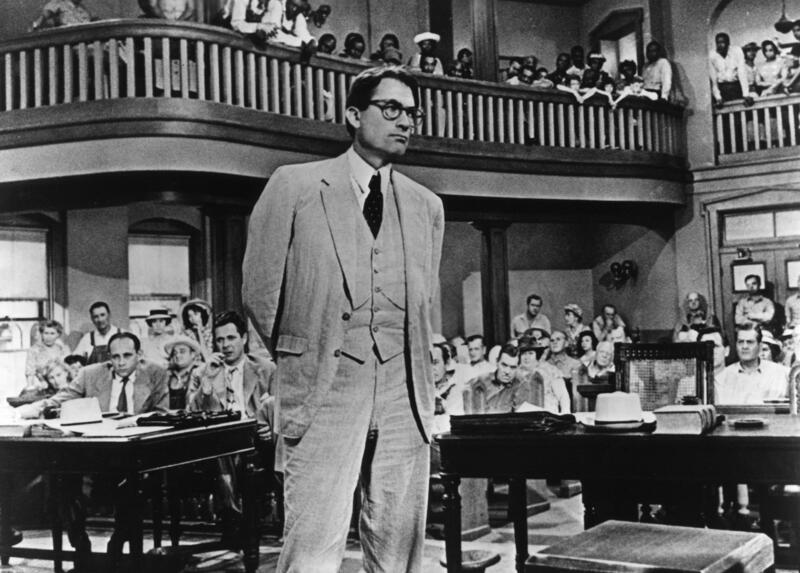 And there was still apparently enough of Atticus’s heroics and wisdom to nab a Best Actor nod for Gregory Peck.